Candy Lacquer has created a set of beautiful flakie polishes inspired by the Legend of Zelda video games. She couldn't have had more perfect timing with the recent announcement at E3! 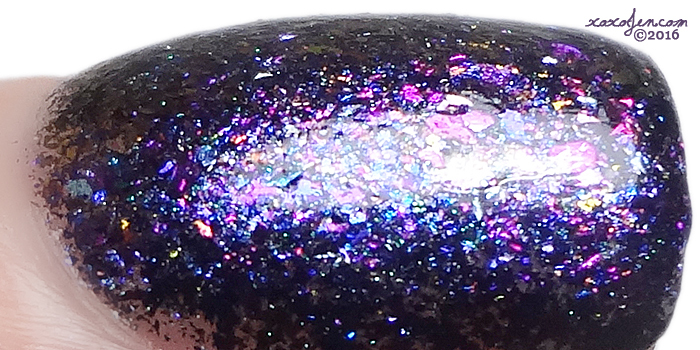 These flakie polishes are beautiful and shifty and quite camera shy! So we'll have to rely on the descriptions as well as what I was able to capture in the photos. Zelda's Adventure: A mix of multichrome flakies that shift between fuchsia, red, copper, gold and green. The green was camera shy in my photos, but can be seen at extreme angles (top of the macro shot) or in dimmer lighting - definitely there, but more shy than the gold, copper and fuchsia colors. I think this is perfect for the upcoming fall season too. Link's Awakening: A mix of multichrome flakies that shift between lime, green, teal, blue and purple. This is my favorite - it has all my very favorite colors in it, couldn't be more perfect! The shift from green to teal and blue in this make it look so ocean goddess or mermaid like. Not mentioned in the description, but I also caught glimpses of pink while wearing this. Tri Force Heroes: A mix of multichrome flakies that shift between blue, violet, purple, pink and gold. 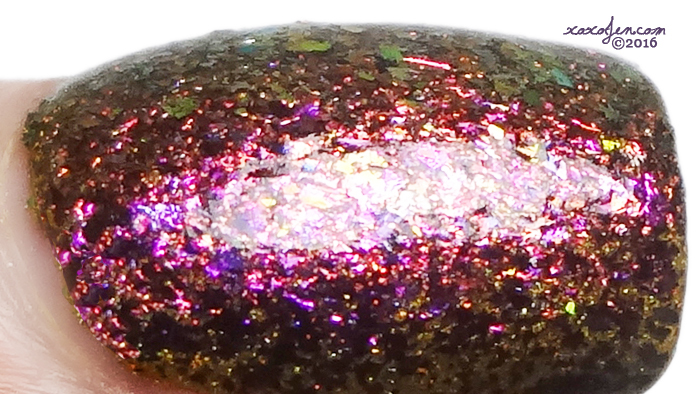 At a glance, in the bottle this looks mostly violet with sparks of gold and an almost bronze shade, on closer inspection I can definitely see the pink and blue flashes. 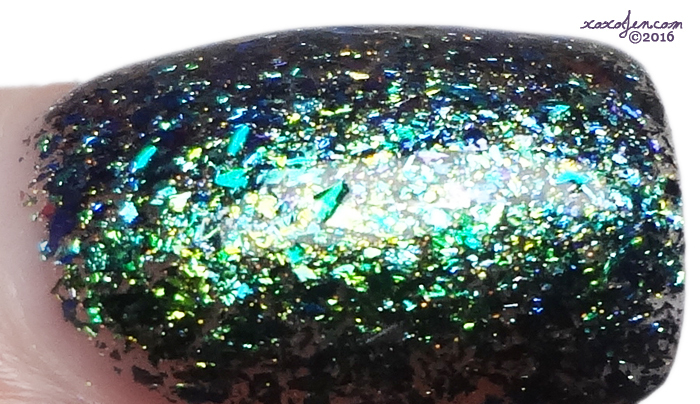 Spirit Tracks: A rainbow mix of multichrome flakies in a sheer holographic base. My second favorite of the bunch! 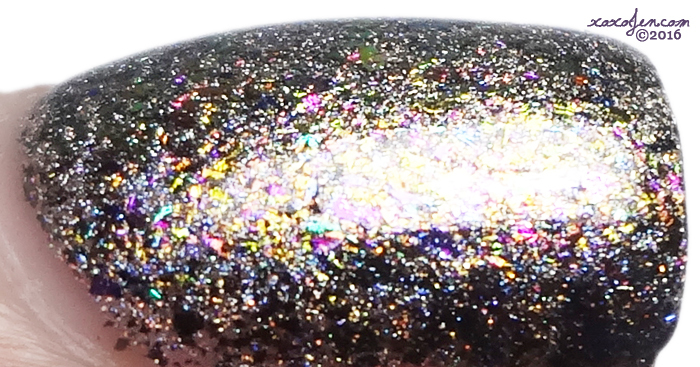 It has a golden sheen on the surface and with a closer look the holographic rainbow appears like magic and an even closer look reveals a rainbow of shifting flakies - it's quite spectacular! Photos don't do it justice. I wore two coats of each polish for the photos, they were easy to apply and to remove (not at all like glitter!). And oh my wow the shiftiness of them all! 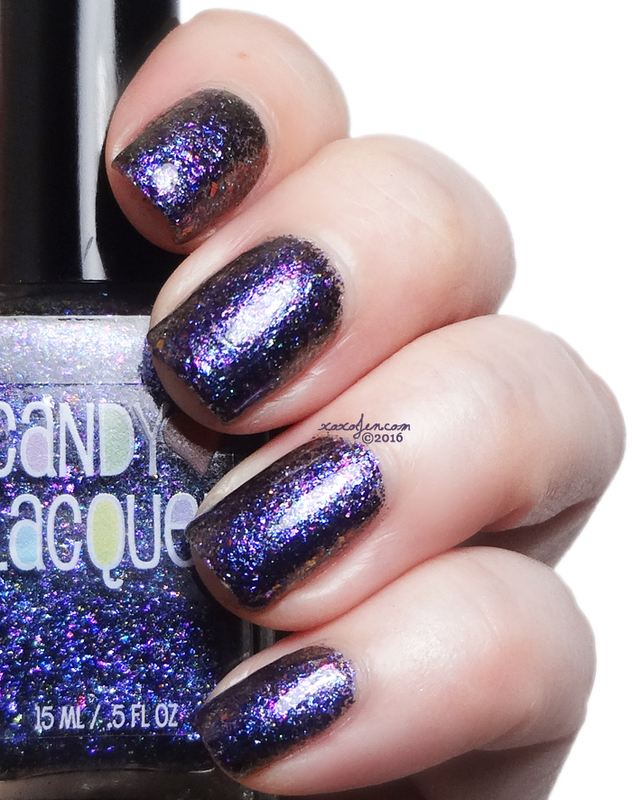 In different lighting and at different angles the same polish can look completely different! It's like an instant polish change. 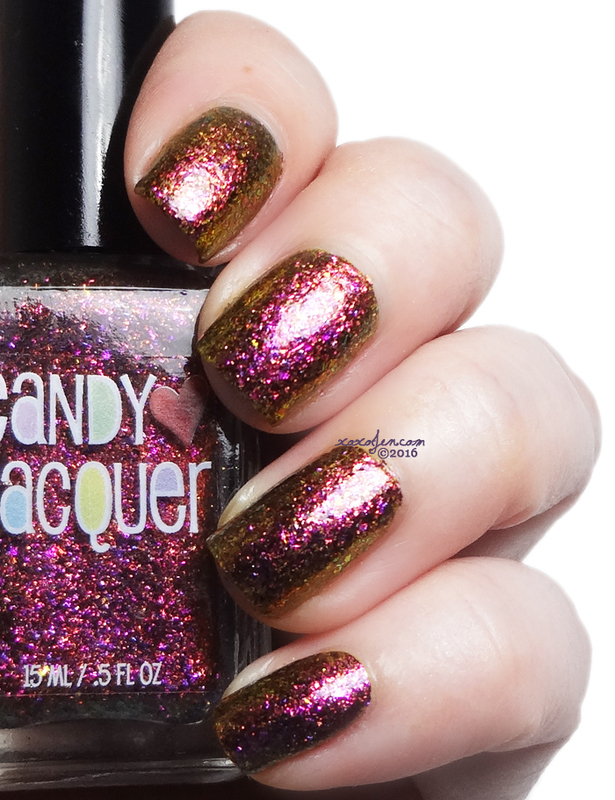 You can get these on Friday, 6/17 at the Candy Lacquer Shop, along with many other pretty polishes! These colors are fantastic. I love anything with flakies in it too.